Queenstown Wineries are plentiful given Otago's reputation as a world-class wine growing region. The region benefits from a challenging landscape of cold winters and hot summers, thanks to the mountains and deep river gorges that are common to the area. 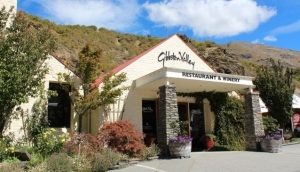 A short drive out of Queenstown along State Highway 6, gives visitors the opportunity to dine and sample award-winning wines from the wineries that are dotted among the Gibbston, Bannockburn and Cromwell settlements.